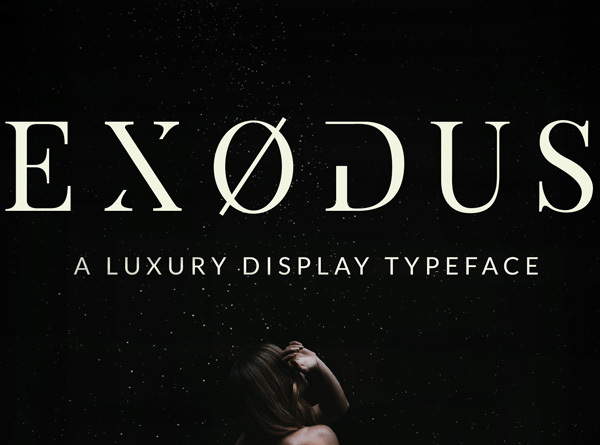 Well,although we bring together free font collections time to time we decided to share a free font everyday and today’s free font Exodus is designed by Andrew Herndon. 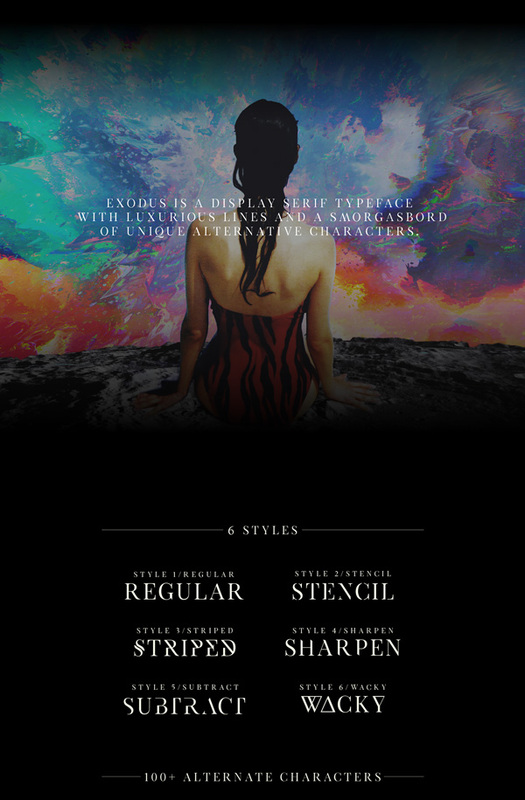 Exodus is a display serif typeface with luxurious lines and a smorgasbord of unique alternative characters. Exodus was designed to create stellar unique character sets for logos and headings while giving full control to the designer.